 Learn more about how organizations at The University of Texas at Austin are helping to move groundbreaking discoveries from the laboratory to the marketplace. The Office of the Vice President for Research coordinates research throughout the university. The office handles applications for research funding, coordinates strategic areas of research focus and tracks guidelines and regulations governing research. Protects, markets and licenses the university’s inventions and software. Assists in the formation of startups. Promotes collaboration with industry, venture capitalists, other investors and those within the tech commercialization ecosystem. The Office of Industry Engagement helps facilitate collaborative research between university researchers and their industry sponsors, to help forge a long-term relationship that promotes the advancement of science and education and assures that discoveries and inventions are converted to useable products and services to benefit the public. The IC2 Institute is a strategic center for technology commercialization at the university. The institute links technology, entrepreneurship and education to foster sustainable social and economic development around the world. The Austin Technology Incubator is a technical-business incubator and has graduated 65 companies that have generated $1.2 billion in revenue and created 2,850 jobs in central Texas. Texas Venture Labs is an initiative to increase the number of start-ups campuswide. It offers entrepreneurs an accelerated route in bringing their innovations to market.